No fewer than seven former winners of the reformed EHF Cup or its predecessors (old EHF Cup or Cup Winners’ Cup) have lined up among 54 teams for the 2018/19 season. While Viborg and Zvezda will start the new edition already in the first round, Hypo Niederösterreich, Herning-Ikast Handbold (formerly called FC Midtjylland), Ramnicu Valcea and Dunaujvaros will join in the second round and HC Lada will enter the action only in the third and last qualification round before the group phase. The reigning EHF Cup winners SCM Craiova will start in the Women's EHF Champions League this season as will the runners-up Vipers Kristiansand. 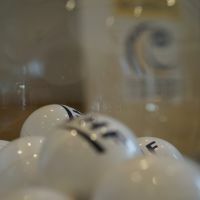 The European Handball Federation has released the seeding for the new season of the Women’s EHF Cup and the draw on Tuesday 17 July will outline the path for 46 teams in the first two playing rounds. The first matches of the new season will be played in the first leg of the Qualification Round 1 on 8/9 September and the second leg will follow one week later with 28 teams involved at this stage. In the second qualification round the two worst ranked teams from the two qualification tournaments of the Women’s EHF Champions League will join the 14 winners from the first round and 16 other teams. The first leg is scheduled at 13/14 October, while the reversed fixtures will follow one week later. In the third round apart from HC Lada seven other teams await – Team Esbjerg, Érd HC, DHK Banik Most and four teams placed second and third from the two Champions League qualification tournaments.